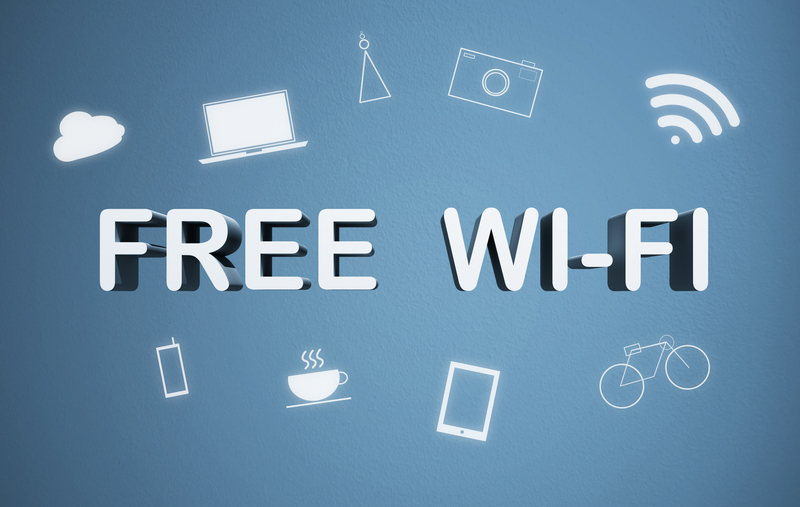 Do you rely on Wi-Fi while at a restaurant or hotel? While on business trips or vacations, selecting a hotel with Wi-Fi access is crucial to staying connected to the rest of the world. Many people do not realize the security risks of accessing Wi-Fi outside of your home. Most people are willing to sacrifice their security for quick and free Wi-Fi access. According to the 2017 Norton Wi-Fi Risk Report, 92% of Americans have potentially put their personal information at risk while using public Wi-Fi by logging into a personal email account, social media account, bank account, or work email. 19% of people said they entered their Social Security number or birthday while logged in at a public hotspot. About 70% of people believe that their information is safe while using a Wi-Fi hotspot, but 41% cannot tell the difference between a secure or unsecured public Wi-Fi network. People do not realize that their personal hotspot can be accessed by cyber-criminals through unsecured Wi-Fi networks or by apps with privacy vulnerabilities. Many people believe that a restaurant or hotel would not offer free Wi-Fi if it were not safe; however, hacking into a public system is not difficult for criminals. The reason many networks require a password for access to Wi-Fi is to limit the amount of people on the network at one time, not for security reasons. It is easy for someone to capture your personal information and view the data that you are sending and receiving while on a public Wi-Fi. The major problem with this is that you may never know that your information is being stolen until you notice unauthorized charges on your credit card or money withdrawn from your bank account. 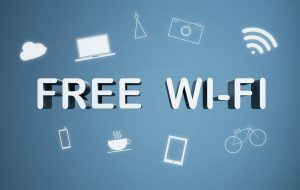 The bottom line is that free public Wi-Fi is less secure than the wireless connection at home or at the office, so it is important for people to understand that. Many websites have taken the step to secure their network using the secure HTTPS connections that encrypt the data going back and forth. The purpose of this is to protect people that are accessing Wi-Fi in hostile environments from attackers sitting on the open-end Wi-Fi searching for victims. At the end of the day, free hotspots are always going to be less secure than your home or office network. Applications downloaded on personal devices are exposing personal information which has become a new security problem that most people are not aware of. How can you be sure to protect yourself? You can check to see if the network is secure by looking in the URL for https with a small green lock next to it. If there is not a green lock with https, it is best to not enter the network for your own protection. The problem with apps, whether on a phone or other device, is that there is no way of checking if the network is secure because it does not show the URL. A study showed that nearly 38% of apps do not do anything to protect your data while connected to a network which results in all passwords and usernames being displayed in the open while not being encrypted. Are Virtual Private Networks the solution? The best way to protect your information while using public Wi-Fi is to use a Virtual Private Network (VPN) from a trusted provider. The benefit of a VPN is that it encrypts everything that is sent and received between your device and the Internet, which creates more of a “secure tunnel”. In a study conducted, 76% of the respondents knew about VPN; however, only 27% of them use a VPN to protect their information. It would be wise to get in the habit of using a VPN so you are able to protect yourself from theft of your personal information. VPN’s are just an additional way of protecting yourself from criminals. Contact DIS at 440.838.4111 to see how you can further protect your personal information.